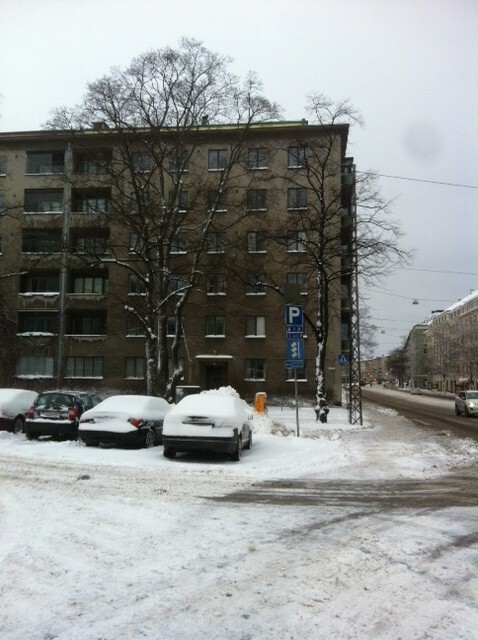 When I woke up last Sunday, Helsinki was covered with snow. As I went out with the trash in the morning I heard the building caretaker tell our neighbours that he had started shovelling at 1.00 am. He must have been at it most of the night, because the piles of snow next to the parking lot were at least two meters high. 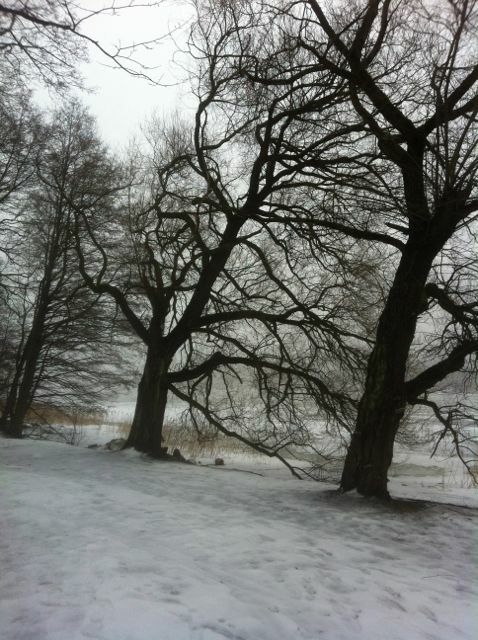 Last year there was almost no snow at all, and the whole winter was dark and rainy – and not in a cool, futuristic Blade Runner-sort-of-way, more in a depressing Eastern-Europe-sort-of-way. The darkness in Finland gets so bad during the winter that without snow it’s pretty much like living in a damp closet for six months. I had been watching the snowstorm from the window on Saturday night, with a childish urge to go out and stand in the middle of it. So I did what any 35-year old father-of-two does: when the children were asleep, I kissed my wife and went for a walk to the nearby pub. Nobody seemed to be out. The fresh snow had a muting effect on the whole city. As I drank my beer the street sign next to the window gradually turned white. We live in the northern end of Töölö, which is a neighborhood in Helsinki mostly built between the 1920’s and 1940’s. A hundred years ago this used to be wilderness, or at least it used to be the beginning of the countryside. But the whole neighborhood was quickly built when the city expanded in the early 20th century. Today Töölö is a typical middle class or even upper middle class residential area. The family in my book, The Pauls, also live somewhere here, a bit closer to the city centre. Max Paul is about thirty years older than I. His wife has a good job. He’s paid off all his mortgage loans. He is the kind of person I can imagine standing by the fishmonger’s in the department store, choosing expensive scallops for his Friday dinner, before he goes to buy wine for the weekend (I would probably have to settle for something cheaper myself). Max is very privileged, but I think that he belongs to a generation – unlike myself – who feels that it has earned its privileges. When Max was born Finland was still very deeply affected by post-war poverty. He grew up watching the country go through that and become a welfare nation. Max is Finland-Swedish, just like me. This needs some explaining: in Finland, about 5 percent of the population (of about 5,4 million) speaks Swedish. Some of these people are writers. The most famous one would probably be Tove Jansson, who was the one with the Moomin trolls. A brilliant “upper-middle-class lesbian bohemian”, as BBC called her during her centenary celebration last year. I didn’t grow up in Helsinki. 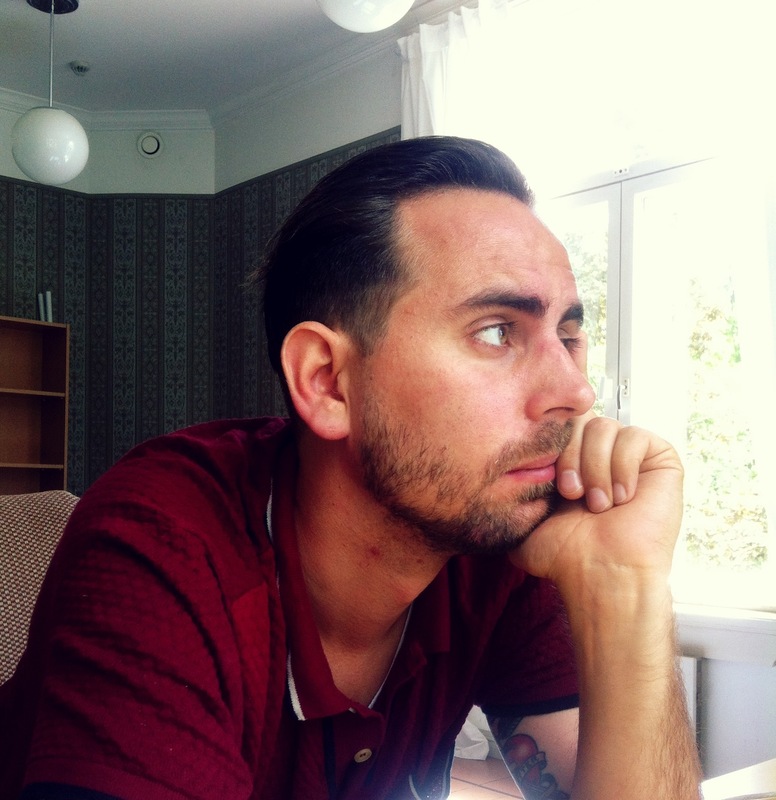 I moved here about 15 years ago, from a small coastal town called Jakobstad. A lot of the Finland-Swedes live on the west coast of Finland, which is natural considering it borders Sweden. Finland used to be part of Sweden for nearly 700 years, and that is the most simple explanation to why Finland has two official languages, Finnish and Swedish. I write my books in Swedish but I come from a bilingual family, just like the family I write about. It works like this: I went to a Swedish school, spoke Swedish with my siblings, but spoke Finnish with my mother. And I speak a lot of Finnish in my daily life in Helsinki. When I wrote my novel I wanted to have this bilingual experience in there, so a lot of the people in the book are speaking both languages. But of course it’s not really possible to write a novel in two languages, if you want your readers who aren’t bilingual to be able to understand everything. This isn’t necessarily very important for English readers. I think the point is actually the opposite: the family is a typical example of how the Finnish middle class has become more and more global. Just in three generations a lot of things have changed. So when I put the daughter Eva in London it was because it felt like something a person her age would do: move from Finland, to a more global setting. Nationality becomes less and less important, it seems, but on the other hand we talk more and more about nationality these days. In Finland the populist party the True Finns (our version of Ukip) won 19 percent of the vote in the last parliamentary election. All of a sudden we have discussions about abstract things like “Finnishness”, and there are forces who start questioning the Swedishness of Finland. And in Sweden the Sweden democrats have managed to overrun the political debate, and almost forced the government to call for new elections recently. For us who consider Sweden to be a sort of forerunner when it comes to global modernity this anti-immigrant backlash seems out of place. I thought about nationality myself the other day, when I applied for a new passport, which can now be done in Finland by filling out a form on the internet. It felt almost too easy, especially since a Finnish (or Swedish) passport is apparently one of those that will get you into most countries in the world without a visa. It seems strange that we consider it reasonable to be able to travel anywhere we want, and at the same time we have political forces trying to keep people out of our own country. I also thought about nationality because of the tragic Charlie Hebdo massacre. When we struggle to find explanations to these kind of events we often talk about cultural identity. I took a pause from the writing of my next book when the events in Paris unfolded. It seemed so unimportant to try to make sense of fictional characters when everyone was trying to make sense of the world. I think writing fiction sometimes can feel trivial when things like this happen: that this is what one should be writing about, burning political issues. But trying to do so in fictional form isn’t always easy – just ask Michel Houellebecq. My novel The Winter War has to do with smaller issues, in a very literal way, hamsters and things like that. But I think that the Strindberg quote in the beginning of the book is also true: “Life consists of trivial matters”. Even as major events unfold in the world, people have to deal with all the small things in their lives. Especially so during the winter time, when the darkness effects everyone’s mood. Maybe the snow will help a little bit this year. We’ll see. Thank you to Philip for contributing this thoughtful and very topical piece. We’re all familiar with the seductive image/fantasy of the perfect Scandinavian society but in The Winter War as in real life, if you look a little closer, the cracks aren’t hard to see. This is the first family drama I’ve read set in Scandinavia (and the first book I’ve ever read set in Finland!) and whilst novels examining middle class anxieties have their detractors, there’s just so much narrative potential in all that striving, the concern with appearances, status, what other people think… Philip Teir inhabits his male and female characters of all ages with equal conviction and intensity, his take on relationships perceptive and intelligent. This novel manages to be both humane and satirical, poignant and funny. The writing sparkles in an excellent translation. I hope for everyone’s sake that the new Jonathan Franzen is this good. If you missed it, earlier this week I did a Writers on Location of my own: Malaysia – Two Weeks in the Tropics. Thanks to everyone who told me brightened up their January – I’m glad! Next week my guest on the Sofa will be bestselling author Shelley Harris, talking about writing a hero from the inside in her second novel Vigilante. Fascinating post . I am desperate to read this book . I did notice it was getting a lot of publicity in France when I was there last weekend. 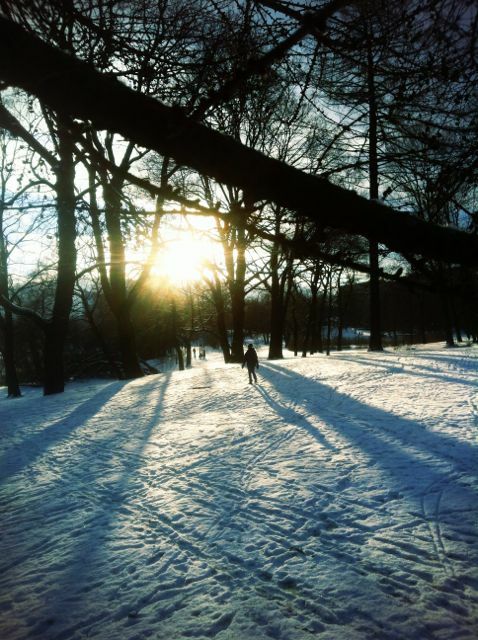 What a lovely article, bringing more depth to the depiction of the Helsinki setting within the novel as well as the culture of the Finland-Swedes (something I was unaware of and also had to ask Philip about http://annegoodwin.weebly.com/philip-teir.html). I hadn’t really thought about the way in which the snow might go a little way to compensating for the lack of light so far north, but of course we notice how it brightens things up here. 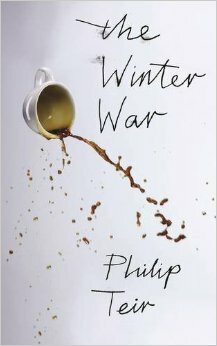 I was also interested that he mentioned the hamster in this piece as, for me, that was the only thing I didn’t really like about the novel: http://annegoodwin.weebly.com/annecdotal/-the-family-in-the-world-the-winter-war-by-philip-teir-and-the-lightning-tree-by-emily-woof. It seemed a bit too gimmicky and farcical in a novel that works so well with the understated and more ironic kind of humour. I have the sense that we’ve had this conversation before your blog, Isabel, but I do agree with you about The Corrections as opposed to Freedom. Glad you had a good holiday with some winter sun.